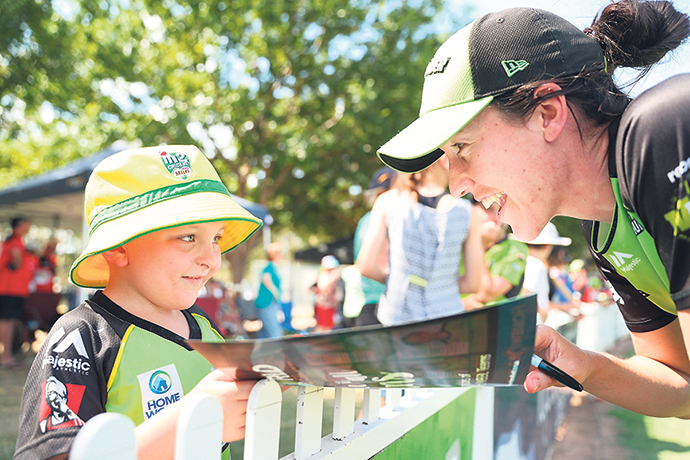 After not setting the Big Bash world on fire like she would have wanted to in her debut season, experienced all-rounder Lisa Griffith is excited and grateful to be given the opportunity to have another shot. The 26-year-old Penrith Cricket Club and NSW Breakers star was over the moon this week, signing a new two-year deal to remain with the Sydney Thunder. After recording no wickets in her debut season with the Thunder last summer, Griffith was a little worried she may not be asked back. “I guess you always question whether another deal would be put on the table, I didn’t even expect to get an offer last year, so that was a massive learning curve,” she told the Weekender. 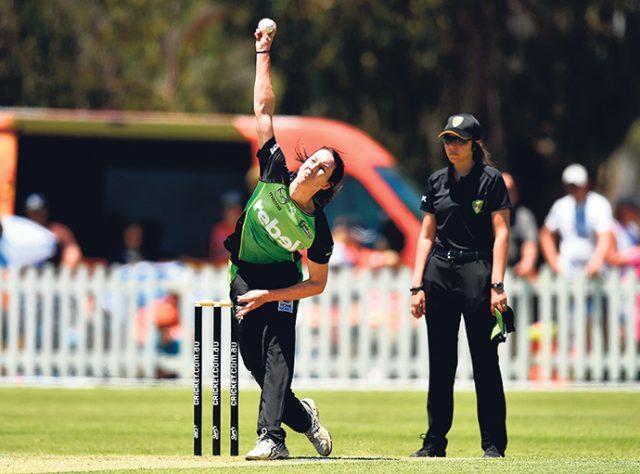 To get her prepared for the frantic Women’s Big Bash League (WBBL) season ahead, Griffith spent some time in New Zealand recently playing in the Super Smash T20 competition with the Otago Sparks. Griffith said her time across the ditch was a fruitful one. “I was really lucky to go over and play for the Otago Sparks, they were a really good bunch of girls,” she said. While she didn’t have the impact she was hoping for, Griffith labelled her first season in the WBBL as “positive” and hopes she and her teammates can build on the foundation they laid in 2017/18. “We probably have some unfinished business after making the semis and not going further. We’ll be pushing to make that Grand Final this year, we’ve got a really good side shaping up,” she said. “I’d really like to make an impact this year, it was kind of tough for me last season. To come away with no wickets was a really big learning curve. Griffith arrived at Thunder camp this week to prepare for their season opener.